With the release of Phantom Thread last year, I thought it is finally time to rank the films of one of my favorite modern directors Paul Thomas Anderson. I will be covering eight of his films starting from Hard Eight all the way to Phantom Thread. Junun will not be included in the list because its a documentary and today I'm only focusing on his feature films. Obviously it goes without saying that this list is my own opinion and nothing more. You can share your thoughts and how you would rank his films on my twitter. I don't think its any surprise that Hard Eight is at the bottom. The film is actually not as bad as some people may think. If it were done by any other director it would have been a good mark on their discography. But its Paul Thomas Anderson we are talking about here. In comparison to his other films, Hard Eight just falls short. It feels like there is little passion and small compared to the rest of his films. The film is carried by the actors mostly and the underlying theme of friendship. However, other than that you wont find anything else from this film. A little bit of backstory on this film so that you understand the context of my situation going into this film. Before this film came out, or was even announced, I read the novel it was based upon by Thomas Pynchon. You have to understand that Pynchon never had any of his books adapted to any film. His writing style is very complicated and his books are usually structured strangely. Even though Inherent Vice is one of his easier books to wrap your head around, it is still pretty complex compared to other books. So when I heard that PTA would be adapting the book I was both excited and hesitant. I knew that PTA was very talented and would manage to do a good job, however, having read the book I was afraid it won't work as intended. Unfortunately the film did not hit all the right points but it didn't come out as a disaster. The whole aspect of confusion is required for the film as it was for the book. That sense of confusion is felt by both the characters and the audience. The characters are feeling confusion due to their drug filled lifestyle and the audience are along for the ride not knowing what is coming next. The issue I have with the film is that it did not give us that something that PTA always gives us. 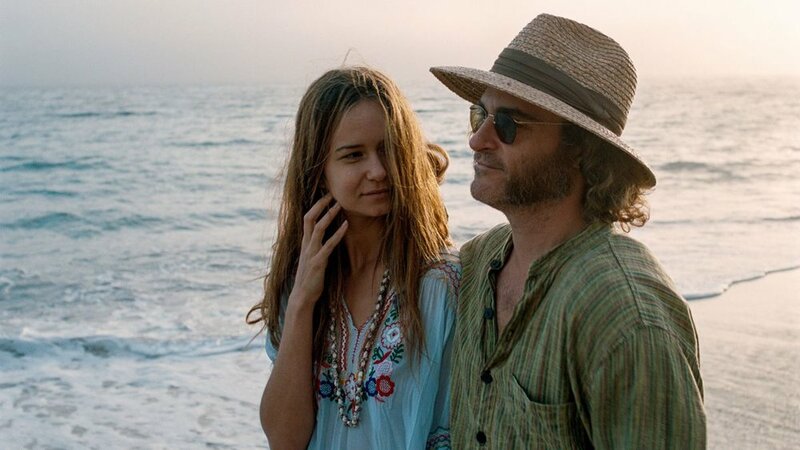 Whether it be from the cinematography or the score, Inherent Vice couldn't really find its footing in any regard. I think he managed to get the feel of the film right, especially after knowing the book. But it is missing that "something" that I can't put my finger on. Nevertheless, I was happy that PTA was brave enough to take on this project, and who knows, maybe this film will grow on me in the future. As of right now though, here is where it stands. Boogie Nights is a very important film for the career of PTA, if not the most important. After a very above average Hard Eight, Paul Thomas Anderson shifts and comes with a film that will define his career for the next 20 years. The film features many of his trademark styles such as the very lengthy one-shots and certain cinematography choices. The film is very controversial for the time, as it might even be for now. It pushed the boundaries on what can or can't be talked about and shown on screen. I'm not saying that Boogie Nights was THE film that changed it all, but it definitely helped in that regard. Unlike Hard Eight, this film is filled with passion to the brim. You could see that it was a project that PTA actually wanted to do, and something that he wanted to do right. The interesting characters along with the great relationships between them is what makes the movie. That's what I remember most from this film, the characters. Also two scenes come to mind, the first club scene and the new years scene. Both extremely long shots that stuck in my mind many years after watching this film. The only reason this film is quite low, is that the films to come are so much better than this one in my opinion, that I had to put it at 6th. This is not to say this film is bad. Paul Thomas Anderson is just such a good director that even some great films fall short when compared to others from his filmography. All in all, this film is one of his most important, and it was what shaped his career and gave us countless incredible films. This film is the underrated diamond of PTA's career. You will undoubtedly see many people who will argue that this film is his strongest and overall his best. I can see where those people are coming from, because this is a very good film. The film proved to me that Adam Sandler could act if given the right opportunity. Furthermore, this was the start of Anderson's signature cinematography style. How he could make an office in a warehouse seem like this grand spectacle, or how a heated phone conversation becomes more tense with the way it was shot in this back and forth manner. Furthermore, the film's romance feels so real. You could connect to Barry and what he is going through in the pursuit of love. This film also made me love Phillip Seymour Hoffman's acting. Although he had a minor role, he really stood out to me. Anyway, Punch-Drunk Love does many things right. It is a film that feels very real and tugs at your heart strings. It is also the middle point in PTA's career when it comes to his stylistic choices. I am very glad that as the years go by this films keeps garnering more attention and love. Because it deserves that love, just like Barry did. This film and the 3rd place are very very close in my eyes. If I could I would have given them joint 3rd. But the next film just slightly edges out Magnolia. Not by a lot though. Anyway, Magnolia, what can I say about this incredibly grand film that hasn't been said before. This film is actually my favorite film with multiple story lines. Because, the way it manages to integrate them to one another while still maintaining their own feel and identity was amazing. The story-lines act as a weaving web which occasionally pass through one another after going off into their own path. Not only are the actual characters interlinked but so are the themes. What connects all of these stories are the underlying messages, that of love, grief and tragedy. Each experiences those themes in a different way. The characters really steal the show in Magnolia, as they should with a film like this. The two stand outs to me are played by Tom Cruise and Julianne Moore. The film masterfully builds up tension without compromising each individual story-line as they all fit together perfectly. As a follow-up to what I consider the start of his career (Boogie Nights), it doesn't get much better than this. I know, I know, recency bias. But just hear me out. I have thought long and hard on this, and I specifically re-watched this film in order to make sure I am placing it this high up on the list. After watching it again, I was reassured that to me personally this film is the third best film by Paul Thomas Anderson. The reason being is that it provides what I want from a film. It is oozing with elegance and beauty. Visually and sonically, it delivers on all fronts. The cinematography is beautiful and the colors is a sight to see. This beautiful imagery is coupled with another incredible score by Jonny Greenwood gives the film that extra something it needed to emphasis the beauty. Other than the visual and audio elements, you have the story. Which on the surface seems so simple, yet it is so layered and complex that every time I watch it I find something new. The themes in the film play hand in hand with the story and they are further strengthened by the performances of DDL and Vicky Krieps. The film is subtle at a first glance but it hits hard once you start to look closely. 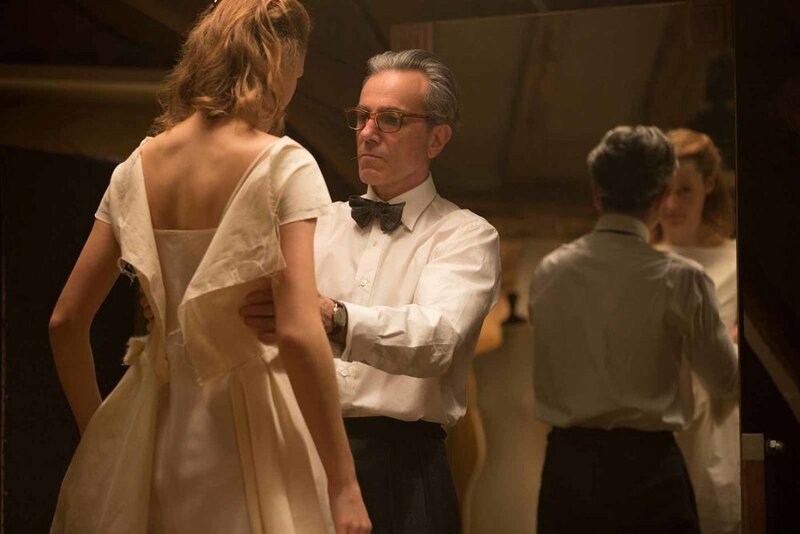 I understand there are certain people that are not convinced with Phantom Thread, but personally it is one of my favorites from PTA and I loved everything about the film and all its intricacies. This film, is so special to me. It came out during a very tough time in my life. I remember watching it at night during my first or second semester studying abroad. I had class the next day in the morning, and thought I could squeeze this film in and manage to get enough sleep. I finished the film at around midnight, and I did something that I have never done since. As the credits rolled, I closed the window, and opened it back up again and played the film once more. I had never done that before. I had just finished from the film! But I couldn't resist. I had to experience it again. That's how special this film is to me. This is my type of film, and it is what I look for whenever I watch something. The film is very human. The characters and how they play off of one another are what make this film great. On the surface, The Master seems like a very simple film. Even when watching it, there is not much evidently happening throughout the film. Nothing really exciting happens. Yet, its what is underlying that is great. The aspects that you need to infer about the characters based on how they present themselves, or how they look at another character. All of these build this film into the masterpiece that it is. From the masterful cinematography to the tension filled score, every part of this film oozes with passion and mastery. Also to quickly mention one of my favorite ever scenes from any film, the processing scene. Beautiful piece of film making right there. I think you have seen my point already with The Master. I think it is one of most well crafted modern films I've ever seen, and I doubt I would see anything similar to it in the coming future. Because I feel like this film is one of a kind. Well, we are finally here, the number one spot. If There Will Be Blood was any other film, The Master would have been easily number 1. However, its not any other film, it is THE film, my FAVORITE film of ALL TIME. I don't even know where to begin talking about this film. I guess I will talk about the context in which I watched this film, as I tend to do with my reviews. I watched There Will Be Blood very early on into my interest in film. I remember seeing two competing films during 2007, this film and No Country For Old Men. When deciding what film to watch first, I thought I would watch There Will Be Blood first since I saw that No Country swept the Oscars, so I assumed it was the better film which is why I kept it for last. So I went in with no expectations, and boy was I in for a ride. Watching this film was the most nerve wracking experience I've ever had. The tension this film brings up can be felt a mile away. Just a normal scene with Daniel Plainview will have you wiping away your sweat at the edge of your seat. Its that intense. Not only that, in my opinion this film flawlessly executes every single aspect to a film. Perfect storytelling, perfect acting, perfect cinematography, perfect soundtrack...etc. I can't praise this film enough. The amount of passion that went into this film is incredible, and my mind is boggled every time I go back and watch it. This to me is what films have been building up to since the first one. It is the culmination of all of what previous directors, actors, and screenwriters have been working towards. I know I am just praising this film to no end. But can you blame me? This is THE film for me. The one that made me fall in love with films. The one that changed my view on modern films. The one that changed everything for me when it came to this passion. That is why, this is my favorite film of all time, without a single doubt.